The ARTS@MSP program recently opened a new exhibit titled “Best Game in the World,” featuring a wide array of vintage photos, facts and memorabilia from Minnesota’s own wide world of sports. 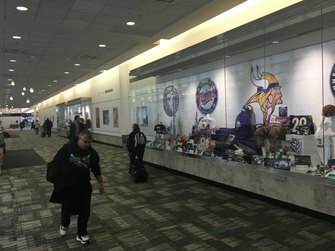 From Native American games in the era prior to statehood, to the popularity of fishing on our 10,000 lakes and the recent decades of major league sports, Minnesota’s passion for sport is on display at Minneapolis-St. Paul International Airport (MSP). The exhibit is located on Concourse C in the Thomson-Reuters Gallery, just past Vino Volo. Step off the moving walkway and take in the treasures that will inform and bring back memories. The exhibit will be on display through December 2018. Also new to the airport this month is the “Transfer of Memory” exhibit, which focuses on Holocaust survivors living in Minnesota. 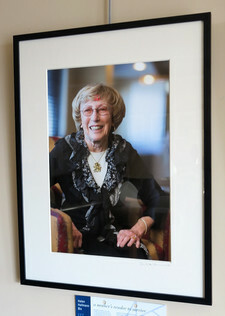 A short biography in the survivor’s own words accompanies each photograph. The exhibit is found in two locations at MSP – near gate C18 at Terminal 1 and, starting mid-December, at Terminal 2-Humphrey in newly established gallery space near Gate H3.